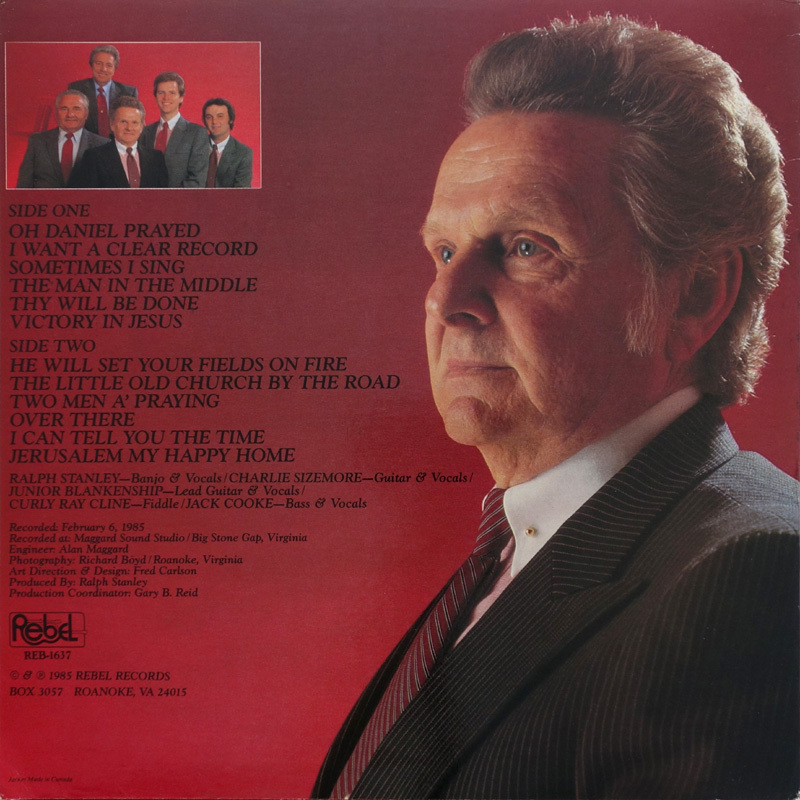 This Gospel album was recorded on the 6th Feb 1985 at Maggard Sound Studio in Big Stone Gap, Va. Sadly, it hasn't been reissued on CD. 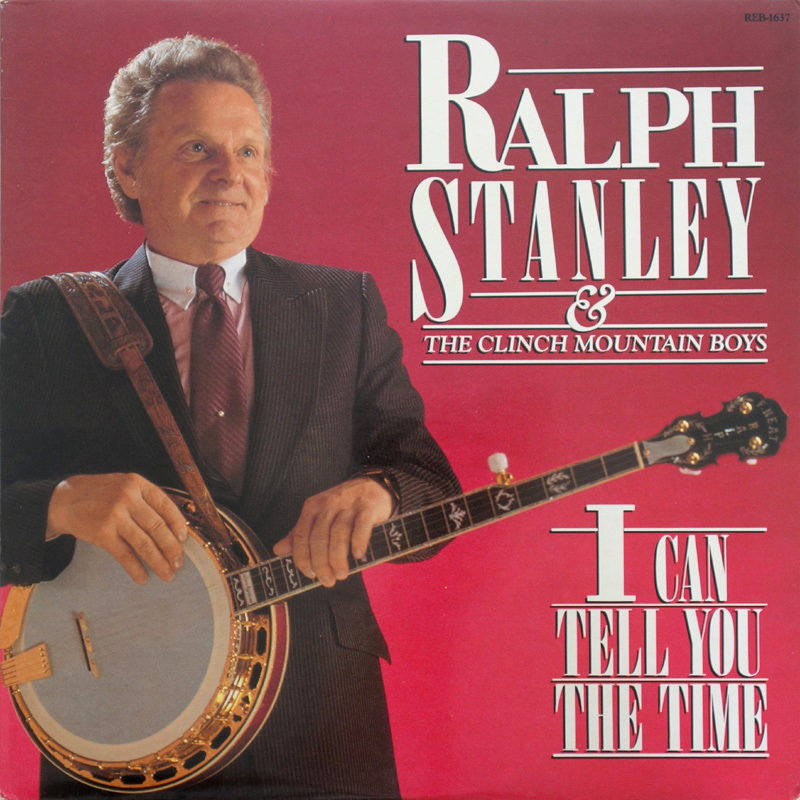 I Can Tell You The Time was one of the first songs The Stanley Brothers recorded for Rich-R-Tone in 1947. Ralph: "we got them two tunes 'I Can Tell You The Time' and 'Death Is Only A Dream', we got 'em from old songbooks that we found somewhere." Three of Ralph's compositions Sometimes I Sing, Thy Will Be Done and Jerusalem, My Happy Home are performed a cappella, with the latter song being 'lined out' by Ralph. At 5:12 it is one of his longest tunes. Ralph's other composition on the album Over There is pretty decent and there are several other catchy songs on the album like Two Men A Praying and Man In The Middle. The latter was later recorded by Delia Bell and Bill Grant, The Hotmud Family and Tony Trischka and Skyline. 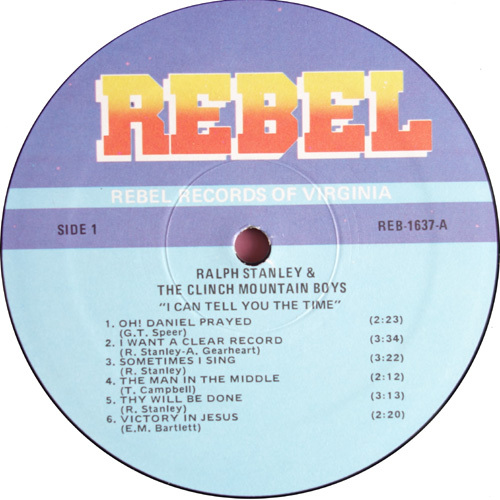 The two old chestnuts Oh Daniel Prayed and He Will Set Your Fields On Fire, were also in The Stanley Brothers repertoire, although He Will Set Your Fields On Fire was never recorded by them in the studio. Avril Gearheart who provided I Want A Clear Record had earlier written Going Up Home (To Live In Green Pastures) which Ralph cut on Over The Sunset Hill and I Want To Preach The Gospel. There are live versions by The Stanley Brothers on: The Legendary Stanley Brothers Live Vol. 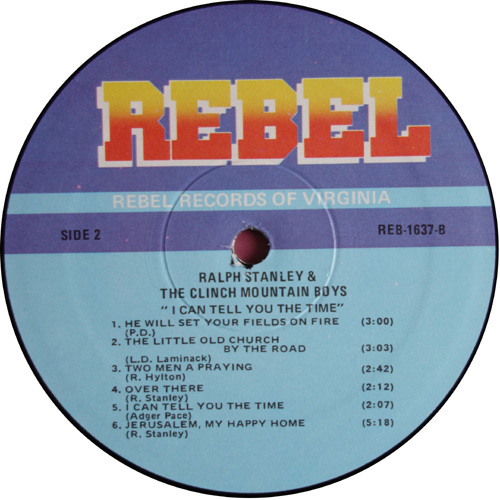 1 (Rebel SLP 1487) 1970 (aka On Stage (Seven Seas SR 287-288) 1969); On Radio (Rebel REB CD 1115) 1991; Live At The New River Ranch CD (No label) and Stanley Series, Vol. 3 No. 3 (Copper Creek CCCD-5511) 1990.